January « 2018 « G.R.M.G. 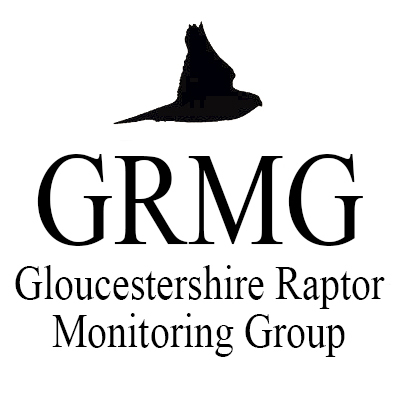 On Sunday 7th January I headed out for a morning in the field with GRMG’s very own Yoda; Rob – as well as a few others involved in local raptor/bird monitoring. We arrived for 11.00 and watched through until around 14.00 – prime time for watching raptors at this early time of year. Our focus was to monitor some Goshawks (Accipiter gentilis) and hopefully find a new nest to add to the many nests that the GRMG already monitor under Rob. As we parked up and walked through the farm gate to follow the public footpath we had a pair of Common Buzzards (Buteo buteo) circling over the woodland behind us closely followed by a pair of Raven (Corvus corax); a good start. We didn’t stop to watch these as we would gain a better vantage point along the footpath and into the valley; stopping to observe at the top of an incline. The landscape was beautiful; rolling hills, fields of green and woodlands surrounding us, and it was a bright, clear and crisp morning. The morning began with some incredible views of Raven with a couple of different pairs lightly displaying and flying in sync with one another over two of the visible woodlands – a positive start. From this you could clearly see the difference in Ravens compared to other corvids due to their much larger size as well as the difference in the male and female; the male being the larger bird. Our monitoring session then went from success to success with encounters of Goshawks, Sparrowhawks (Accipiter nisus) and even Peregrine Falcons (Falco peregrinus). Our focus was on one area of woodland in the distance (where we haven’t yet pinned down the breeding Goshawk pair) as well as the woodland both in front of us and behind us where Rob has previously found the nests and need monitoring. On around three occasions we had courtship displays of Goshawks over our known territories and on one occasion Rob spotted a lone Goshawk flying out of some tall trees in the woodland we were focusing on – it flew past us and over the line of a ridge of trees next to us. This will now be followed up with a visit to that woodland and the near area where the bird left in order to look for a nest – or indeed the start of a new one. One thing that can be difficult to determine in the field and from some distance is which species you are in fact looking at – especially if they are for example both a species of hawk. Goshawks and Sparrowhawks are very similar in shape but yet differ greatly in size. On this occasion, we had an interaction between Goshawk and Sparrowhawk which was astounding and made it very clear to differentiate between the two species. Unfortunately, you do not always see both together to make this differentiation clear, so an easier way to separate the two is by looking at the head – Goshawks have a longer head projection compared with Sparrowhawks. Sparrowhawks also often tend to resemble more of a ‘T’ shape in flight too. At one point, far in the distance, I caught a glimpse of two raptors interacting with one another and they soon headed our way. The birds in view were two female Sparrowhawks – with one probably chasing off the other. We were amazed at how quickly they travelled over our way as we watched them and observed this interesting behaviour. All of these birds we monitor are very agile on the wing – even the Raven. On one occasion a pair of Ravens worked together to chase off their local Goshawk and as they were circling they both were much more able than the Goshawk in these particular conditions to gain the advantage of height. Their intelligence was also very apparent during this interaction – with the pair working together to move the Goshawk on. For me raptor monitoring is still very new and was all started by the Peregrine Falcon – so this session was made even more memorable with two Peregrines overhead. The local Goshawks, however, did not like having the Peregrines around which made for even more fantastic interactions between different species with the Goshawk doing everything it could to move the Peregrines on. If any of you attended our Field ID last year with Rob, you will know that if the conditions are right and you are patient then you will see displaying Raptors and hopefully go on to locate their nests. Look for courtship behaviour early on in the season and where the birds fly out from and drop down in to. Around 13.30 the Goshawks had gone quiet and the Buzzards then started to begin hovering in the wind and circling on the thermals and we decided to end our session for the day. It was clear from today that our local raptors, especially the earlier breeders (Raven and then Goshawk) are indeed already becoming territorial for the upcoming season and re-establishing their pair bonds ready to breed in the coming months. My local Peregrine pair are also both defending their territory already. We are already looking forward to the upcoming season, and as ever we have a lot to do.